Tourists have some fun Whitewater rafting on the Futaleufu River. Mondaca rapid, the Bridge to Bridge section, Puente a Puente. 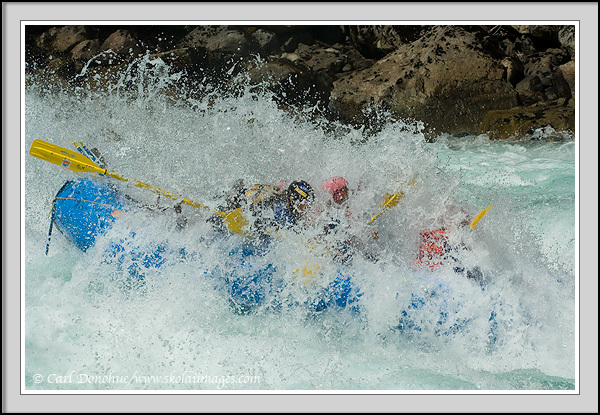 Rafting a Class IV whitewater rapid on the Futaleufu River, in Region X, Patagonia, Chile.